Aloe vera are known as Medicinal Aloe for the burn soothing gel within their fleshy leaves. 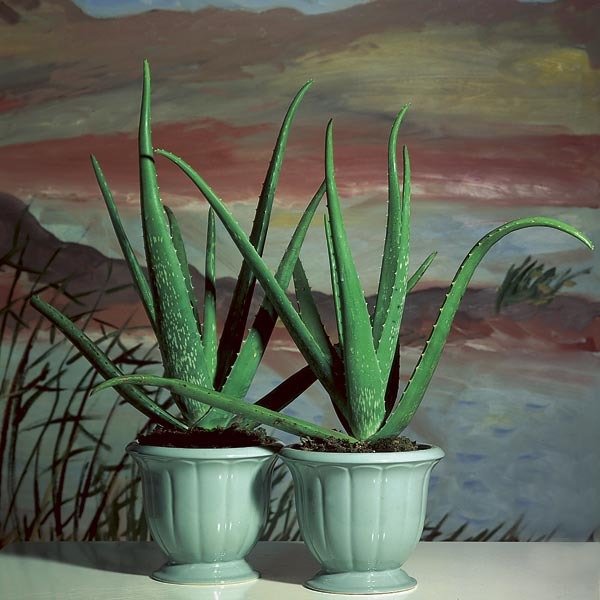 Grown indoors or out, Aloe are an easy care plant and their narrow, water-holding leaves provide nice contrast to plants of broad or finely textured foliage. Plant them with other succulents for an attractive, low maintenance display. Windowsills, succulent terrariums, dish gardens.